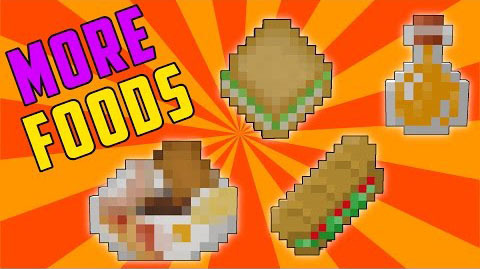 More Foods Mod introduces you about a lot of food in your Minecraft game. 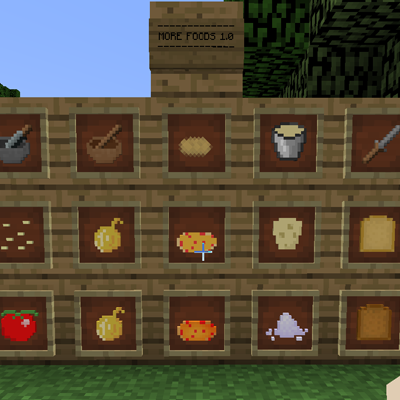 Besides, this mod includes 3 new types of crops. These are Onion, Tomato and Lettuce. You can obtain these by collecting grass like you would find wheat. They are as rare as wheat to drop. There are some tools such as Knife, Pot, Mixing Bowl, Pestle, Mortar, Juicer and Mincer.